Word for Today: All round prosperity is yours. Word for Today: All round Prosperity is yours . 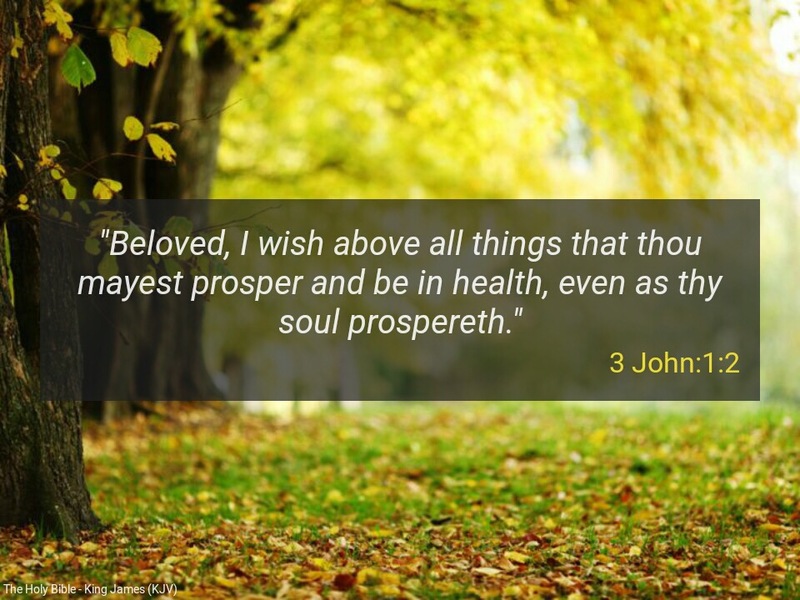 “Beloved, I wish above all things that thou mayest prosper and be in health, even as thy soul prospereth” (3John 2). Henceforth, you will have to operate with prosperity mentality because in Christ Jesus God hates poverty. You have to think big, speak big, and work big. Poverty is not the nature of God . Indeed the whole earth and its fullness belongs to the LORD (Psalm 24:1). Both silver and gold belong to Him ( Haggai 2:8). God’s wish for His children as per our memory verse, is to enjoy all round prosperity: material prosperity, mental prosperity and spiritual prosperity. What do you have to do? You have to arise and apply the principles of God in your daily living. For example you sow before you reap; you give and it shall be given to you; you do to others as you would want others to do to you; you focus on the righteousness of God and guide others to do the same; you are hard working and diligent in your work; you embrace the TRUTH and live a life of integrity etc. In Christ, God’s plan and desire is for you to experience abundance life on earth; however, you need to be conscious of the devil that has come to steal your joy, peace and prosperity ( John 10:10). Dear Father, according to your wish, desire and purpose for us, please help us to enjoy all round prosperity in Jesus mighty name. Amen. Previous Previous post: Word for Today: Welcome to the month of GRACE. Next Next post: Word for Today: Let’s pray the Lord’s Prayer.